First drop occurred today while on a bike ride. I had the Note 9 in the UAG Monarch case, in my Ram mount. Mount had a stretchy supportive web to help hold it to the mount, though I hadnt put that on for this ride. Until I came across a section of road with really poorly done repair work-got to it going 15 to 20 mph. As soon as I hit it there was a lot of vibration from the bumps and the phone went flying out of the ram mount and bounced onto the road a few times. I slid the bike to a stop almost sideways to grab the phone as quick as I could. Off the side of the road I checked it over really well, taking the case off. ZERO damage and the case has one small scuff on the edge. So happy. Put the phone back in the mount WITH the supportive webbing attached this time, and finished the ride. djrakowski, kevinpleasants, jimd1050 and 9 others like this. so glad nothing happened to it. Good job case at doing your job! Boom, phone goes down! But wait, what's this? It's getting back up, it's totally fine - ladies and gentlemen, phone is made out of Rocky Balboa! Phone is getting up, and it's back in the fight and you're not going to believe this, but it seems to be even stronger now! lizette1222, shaimere, DroidNinja and 3 others like this. Wow! The case did its job... maybe I should order one of those! I'm currently using a Spigen Tough Armor as I have on all of my phones for the past few years. Since these phones cost $1k, I make it a point to avoid dropping it. And when it does every few years or so, I usually can get it to bounce off a foot. hancered, kevinpleasants, amyf27 and 2 others like this. Itsa_Me_Mario, No1ButMe, amyf27 and 3 others like this. I dont drop it often but like having a good supportive case just in case I do. My sister, mom, and I have all dropped our Note 9s already haha... No cracks, no damages. Phone cases and screen protectors did their job Not exactly the most careful with our phones, which is why we were on the fence on getting the Note 9.
kevinpleasants and amyf27 like this. @amyf27 you should go buy a lottery ticket! I'm glad your phone came out okay from that accident. kptsalami, kevinpleasants, amyf27 and 2 others like this. areyes163 and DARK Vader777 like this. frederickdawg, kevinpleasants, ladyc0524 and 1 others like this. Oooh boy that was close was only a matter of time before this thread popped up. I'm sure the pucker factor was plus ten....glad it worked out! Y'all need to stop damn near giving me a heart attack. I cringe as soon as I read title. Lol. Glad your phone is ok.
kevinpleasants and Itsa_Me_Mario like this. haha mine took a 10ft drop out of an attic this morning. also unscathed! shaimere, amyf27 and Jewels81 like this. kevinpleasants, JoBudden, jimd1050 and 1 others like this. 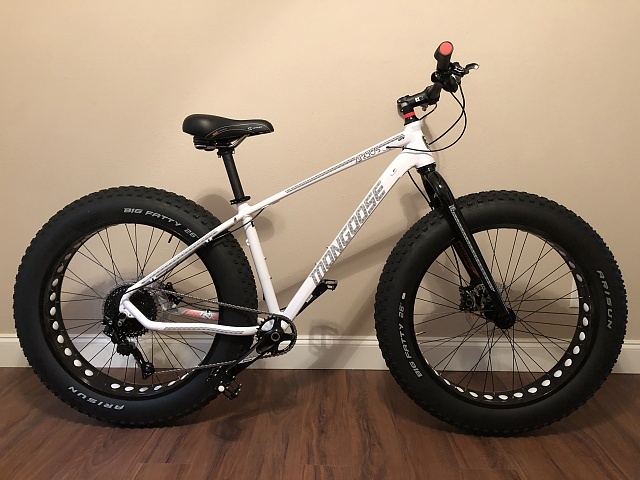 Got this fat bike sitting here unused. jimd1050, amyf27, Itsa_Me_Mario and 1 others like this. Funny thing I just got thinner race style tires put on my bike. Giving husband my original tires. Don't want to risk my Note 9 flying off and hitting the ground. S-pen Veterans: What are the best written note-taking apps?